Sometimes my son, Braxton gets up at night (okay....... all the time) and he heads straight for my (and my husband's bed.) There are times when he trips over and bumps into things in his quest for some night time snuggles. Then when he cries out after bumping into something, that wakes up everyone in the house! Thankfully, I have found the perfect solution! 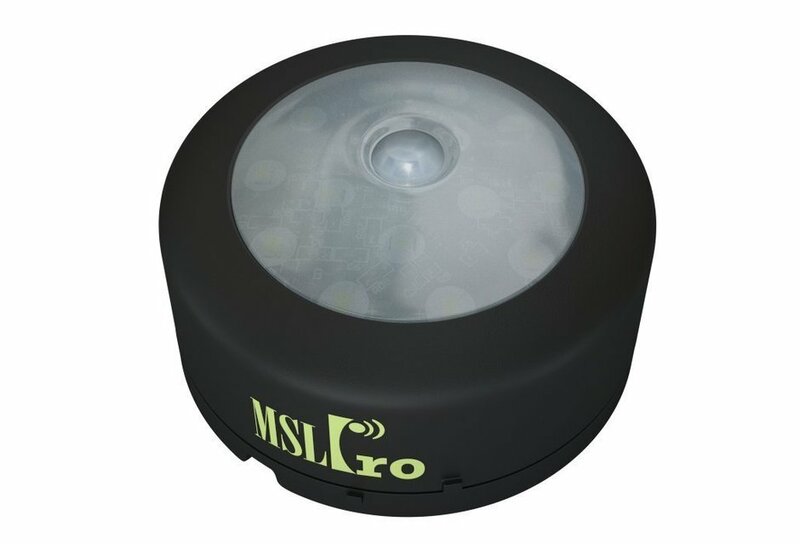 I absolutely love the Motion Sensor Light Pro LED 6938B Super Bright, Cordless Night Light ! This ruggedized light has 15 super-bright SMD LEDS that emits clear, neutral white light. With approximately 100 lumens, this effectively illuminates 6 square metres if mounted at a height of 2 to 2.5 metres. It has Auto-On-Off settings. In Auto mode, this light turns on only when dark and detects motion within 2.5m. In the absence of further movement, it stays on for 25 seconds before automatically turning off. It uses 3 AA batteries and have approximate lifespan of 90 days if used for 10 minutes a day. I was sent a couple of units to review, and I decided to put one on the wall right outside of my eight year-old's bedroom door to help him light his way at night when he decides to venture into my bedroom. So far, it has really helped! Braxton does not trip over or bump into things because he can actually see where he is going! Plus, he used to leave the lights on (during the times he actually turned them on) and I would have to get up and turn them off. Can you imagine how nice these lights would be to have during a power outage? That hasn't happened here yet, but I know where my lights are if I need them! I would use this as a bathroom night light. I would put this in my hallway in case I need to get up and go to the bathroom in the middle of the night. I would set this in my mom's bathroom. She stumbles around in the dark, clinging to her walker - I'm terrified she's going to fall. I would use this night light in the hallway of our home at night. I would use it in my RV as a back up light. We have always had a night light in the hall in case anyone gets up at night so I would use it there. I would use it in the hallway heading from the bedrooms to the bathroom. I love the idea of using it when the power is out. I would use it in the hallway. I would use it on the back porch or basement stairs. I'd use it next to my bed. There aren't any outlets and it'd be the perfect bit of light to save my toes on their way to the lightswitch! I would use it in the hallway by the bedrooms. So many times the little one gets up and comes in our room, or wakes up crying and I go into his room. I have tripped so many times on things during the night...I would love this! Would be great for storms too when we lose power during the night! I would put it in my bathroom. It would go in my bedroom in case I had to get up at night. I would like to have this in the bathroom if I win. I would use it in the hallway so mornings are not hard to navigate! I have a bottom cabinet that is just out of the light of the overhead light. I have lids in there and this would be wonderful to have to be able to see in there! I would keep it in my bedroom for use when there is a power outage. i would use this in my daughters room. I'd use it in the hallway. I would use this night light in a dark closet. This light would be nice to use in the hallway, to help guide when getting up at night. Thanks for the chance. Have several ideas but probably hallway light. I would use this in the living for at night when coming down the stairs. I would use this in my deep kitchen cabinets that I use for pots and pans. My granddaughter is afraid of the dark for some reason. She doesn't give us a reason, she's 3. but she's always afraid. She watches TV until she falls asleep. If I won this I would tell her it's a magic light. That this light would take all the scary things away and it was just for her. Hopefully it would help her feel less afraid. Thank you for the chance to win this !! I would use this in the basement when I have to go down and get things out of storage that are piled up. I would use this Motion Sensor Light in my coat closet that does not have a light.